Russian President Vladimir Putin listens to a journalist's question during his annual news conference in Moscow, Russia, Thursday, Dec. 14, 2017. Russian President Vladimir Putin scoffed Thursday at allegations of collusion between U.S. President Donald Trump's campaign and Russia, saying the reports have been "invented" by Trump's foes and have hurt the U.S. political system. He also mocked his most visible critic, Alexei Navalny, who is barred from challenging Putin in the March 18 presidential vote due to an embezzlement conviction, saying those like him want to plunge Russia into a destabilized quagmire. He vowed not to let that happen. "All of it was invented by people who oppose President Trump to undermine his legitimacy," Putin said in remarks that had an uncanny resemblance to Trump's arguments. "I'm puzzled by that. People who do it are inflicting damage to the (U.S.) domestic political situation, incapacitating the president and showing a lack of respect to voters who cast their ballots for him." Putin argued that Russian Ambassador Sergei Kislyak, whose contacts with Trump's entourage are part of the FBI and Congressional probes into ties between the Trump campaign and Russia, was simply performing his routine duties. 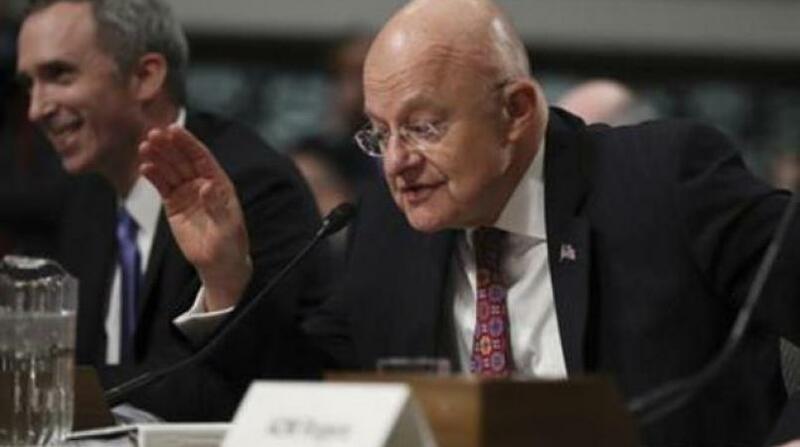 Despite Putin's comments, U.S. intelligence agencies have concluded that Russia interfered in the election to help the Republican Trump defeat Democrat Hillary Clinton. Trump last month lashed out at those agencies' former heads, calling them "political hacks" and arguing there were plenty of reasons to be suspicious of their findings. Putin also hailed Trump's achievements, saying that global markets have demonstrated investors' confidence in Trump's economic course. The Russian leader said he and Trump had spoken on a first-name basis on the sidelines of two international summits this year and voiced hope that Trump eventually would be able to fulfill his campaign promises to improve ties with Russia. Putin emphasized that the two countries need to cooperate on tackling global challenges and that Russia is ready for "constructive" cooperation on tackling the North Korean standoff. Putin has warned the U.S. not to use force against North Korea, adding that the consequences will be "catastrophic." He emphasized that Russia opposes Pyongyang's nuclear bid, but added the U.S. had "provoked" Pyongyang into developing its nuclear and missile programs by spiking a 2005 deal under which North Korea agreed to halt them. Putin said Moscow was encouraged to hear U.S. Secretary of State Rex Tillerson's statement about readiness for talks with Pyongyang, hailing it as a "realistic" approach. He pointed out, however, that the U.S. sanctions put Russia on par with Iran and North Korea, noting that it looks "weird" in light of the fact that Washington expects Russia to cooperate in tackling the North Korean crisis. He noted that Russia is particularly worried about what he described as U.S. violations of the INF Treaty, a Cold-War era pact banning intermediate range missiles. The U.S. has accused Russia of pact violations — charges that Russia has denied. Putin said the U.S. accusations are part of a "propaganda" campaign to pave the way for the U.S. withdrawal. He emphasized that Russia will "ensure its security without entering an arms race." Russia's military spending next year will amount to 2.8 trillion rubles (about $46 billion) compared to the Pentagon's budget of about $700 billion, he noted. Putin also insisted that Russia's state-funded RT TV and Sputnik news agency had a very minor presence in the U.S. media market, adding that the U.S. demand for them to register as foreign agents represented an attack on media freedom. Russia has responded in return, requesting the U.S. government-funded Voice of America and the Radio Free Europe/Radio Liberty to register as foreign agents. 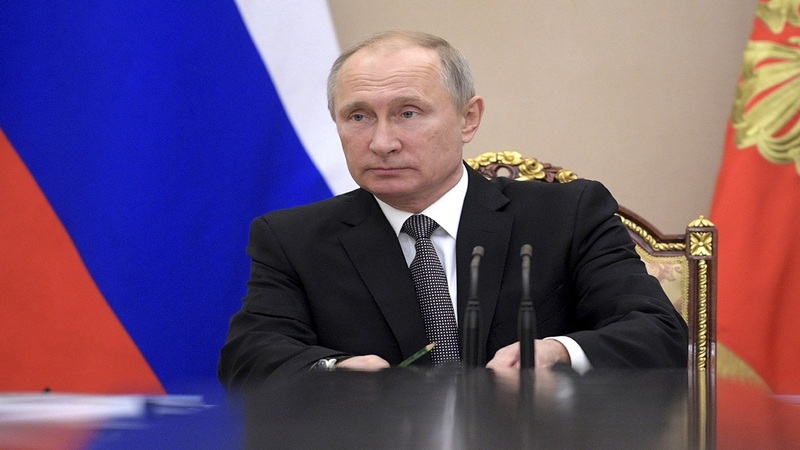 Putin, who declared his re-election bid last week, said he would run as a self-nominated candidate, keeping his distance from the main Kremlin-controlled party, United Russia, which has many members who have been dogged by corruption accusations. 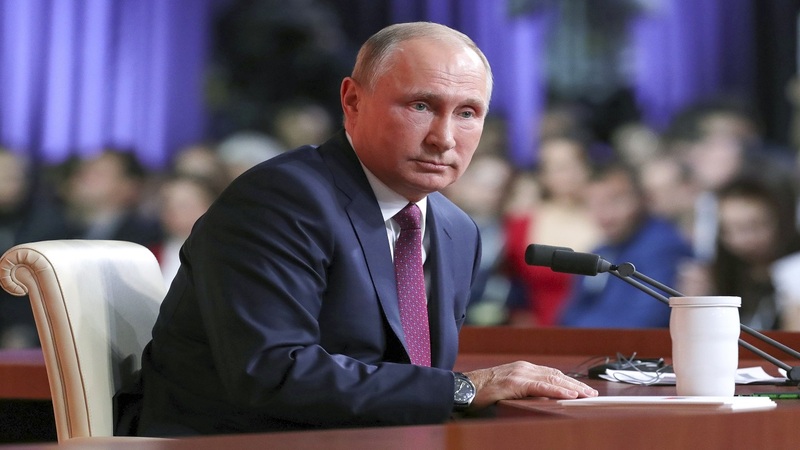 Answering a question from 36-year-old celebrity TV host Ksenia Sobchak, who is challenging him in the presidential election, Putin said he doesn't fear political competition but emphasized that the government would protect Russia from attempts by radicals to destabilize it. Sticking to his habit of not mentioning Navalny's name, Putin likened him to former Georgian president-turned-Ukrainian opposition leader, Mikhail Saakashvili, who has challenged the Ukrainian government with a series of anti-corruption protests. Putin said his government wouldn't let "people like Saakashvili" plunge Russia into instability like that which is now wracking Ukraine. Asked about accusations of state-supported doping that led to Russia being banned from the 2018 Winter Olympics in South Korea, Putin argued they were politically driven. He accused U.S. agencies of manipulating evidence from the main whistleblower on doping at the 2014 Sochi Winter Olympics. Putin said Russian doping expert Grigory Rodchenkov — who is under witness protection after fleeing to the United States last year — is controlled by "American special services." He even suggested that U.S. agencies may be giving Rodchenkov unspecified "substances so that he says what's required." Rodchenkov's testimony played a key role in International Olympic Committee investigations that led last week to Russian athletes being required to compete under a neutral flag at the 2018 Winter Olympics in Pyeongchang.